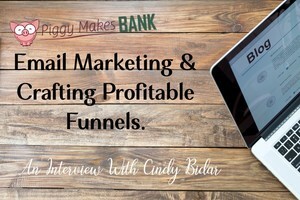 Cindy Bidar is our go-to person when it comes to creating funnels and email marketing. We've been sharing her email marketing templates in our emails over the past few days and got a chance to ask her a couple of questions. We hope you enjoy this interview-style blog post. Tell us a little about yourself. When did you first fall in love with email marketing and funnels? I fell in love with marketing and all the things that go along with that – including the conversion stats and how to improve them – from the first minute I came online. I started out as a copy and content writer, so I was doing service work for clients and didn't have a lot of my own traffic to play with, but I loved watching their traffic and how a little tweak here or a small change there could really impact sales. Email marketing makes those kinds of tests and changes super easy, because you already know how much traffic to expect, and it's relatively fast – not like waiting on SEO and organic traffic. For those who are new to the whole concept of creating email funnels, can you give us a quick rundown or explanation? What are they, why are they important? Sure! When most people think of a funnel, they're looking only at the web pages, so they're thinking of the opt-in page, or the sales page, and then the thank you or the upsell, and maybe a downsell page. It's the whole flow of what a site visitor sees as he or she clicks through your offer, whether they're opt-ing in for a free download or making a purchase. But to me, those pages are just the start. Once your visitor has seen all of those pages, there is still a lot of opportunity to lead them to bigger and better offers, and all of that happens in email. Ideally, you want the flow to be logical. You don't want to hit them with an offer for new tires if they just opted in for a freebie about furniture refinishing. You also want to take the time to build a relationship with your new subscriber, because that's going to be critical to making sales. They have to trust you, and you can't do that easily in just two or three offer pages at the beginning of the funnel. You need the email follow-ups to make that transition from new subscriber to customer and fan. Where do you see PLR fitting into the picture? I think PLR is a great addition to any content marketer's toolkit. I like to use PLR to create opt-in incentives, bonuses, and even paid products. So many people get overwhelmed at the thought of having to write something. How many people have you heard say “I hate to write”? With PLR, you can get past that “I hate to write” part, because now you're not writing, you're editing. It's a whole different mindset, plus it doesn't take as long to get a great result. Do you ever struggle to find something to mail about? What do you do when that happens? Yes! Even people who don't hate to write (Like me!) hit a brick wall sometimes. So that's another place that PLR can help. I also have a list of 49 things to mail your list, and I turn to that when I need a little inspiration. Give us a peek into your process. Do you write the email first, or the subject line? I tend to write the subject line first, but not always. Sometimes what happens is something will happen in my personal life–either I'll see or read or experience something–and I'll immediately connect that to some kind of a business lesson. So this exchange makes me think of how in the coaching industry, there's this belief that you have to look and dress and act a certain way to be successful. I see professional photo shoots in expensive locations and the women are wearing high-heels and their hair is all done up–you know what I mean. And I think, “Do you really have to look a certain way to be a good coach?” And there's that connection. Is my neighbor really better at fixing things around his house than my husband is, just because he's wearing a tool belt? That's the start of a great email for me, and that's when my emails just kind of flow. Those are the ones that are the most fun to write, but if I'm honest, it doesn't always work out that way. Sometimes I struggle, too. We love your new email follow up templates and are using them to tweak our own funnels. Can you tell our readers a little more about them? Like I said, writing doesn't always just flow. Sometimes you really don't know what to say, or you don't know how to lead a new subscriber towards a sale, or you don't want to seem too pushy. That's why I created these templates. I had people in my Funnel Advantage course who kept asking, “But what should I send my subscribers?” So I looked at my own funnels and broke them down into what are the best performing emails. Then I turned them into fill-in-the-blank templates, and made it easy for anyone to use them in their own funnels. If someone wants to learn more about setting up funnels for their business, where should they start? The best place to start is with my Funnel Design Worksheet. That's going to walk you through what a funnel is, and help you decide what needs to be included, and what the logical subscriber flow should be. I would love to tell them that no, email is not dead. It's a super important part of every profitable business. You can't replace it with a Facebook group or a chat bot. Don't let anyone tell you otherwise. I also want you to remember that you cannot make sales if you're not making offers. Someone emailed me just the other day and said, “I got so focused on growing my list that I forgot there has to be some selling in there somewhere.” And she's absolutely right. Don't forget about that part, and if you need help with what to say and how to say it, pick up my email templates. All you have to do is copy, paste, and fill in the blanks. 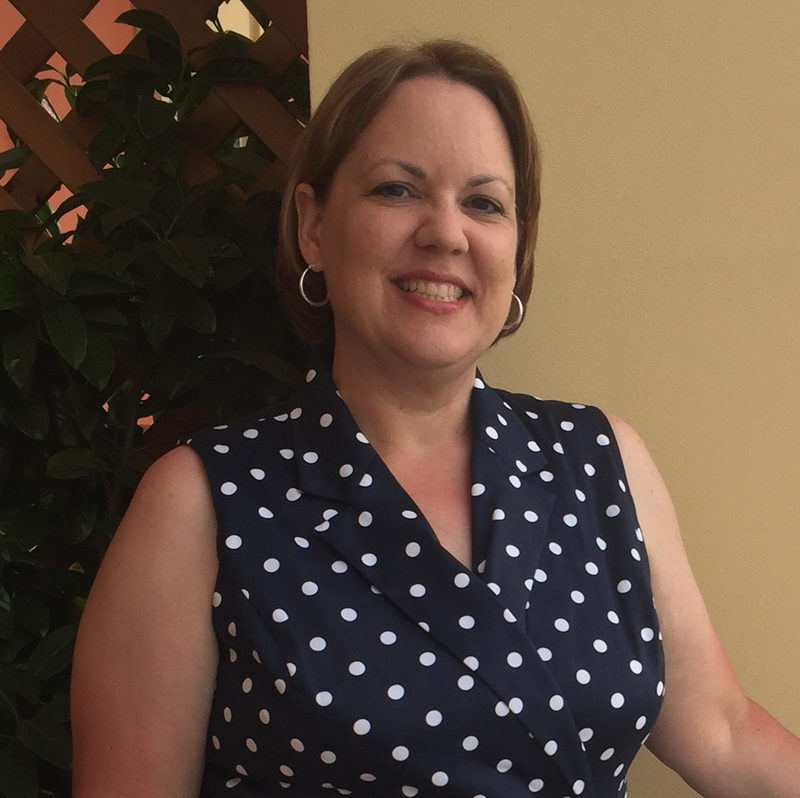 We hope you enjoyed this short interview with Cindy. We told you she was a smart cookie and our go-to person when it comes to creating funnels.